Today, the Stampede has a hot new look, innovative features, and of course, more power to boost the fun quotient even higher. Combine the increased horsepower with the tall, drive-over-anything ground clearance; ultra-tough suspension; exclusive waterproof electronics (blast through puddles, mow through mud and shred snow); and easy operation, Stampede will quickly become your favorite for all kinds of monster truck action. Stampede is still the first name in high-performance monster trucks. To harness the power of the 12-turn motor, Traxxas bolted in the high-performance, waterproof XL-5 electronic speed control. With ultra-smooth, high-frequency operation and high-power handing capability, the XL-5 makes the Stampede as fast as it looks. EZ-Set®one-button setup makes it easy to adjust or change profiles. Traxxas' exclusive Training Mode™ profile cuts total power output in half and leaves the brakes at full strength. It's the first controller of its kind that has a 50% power profile. 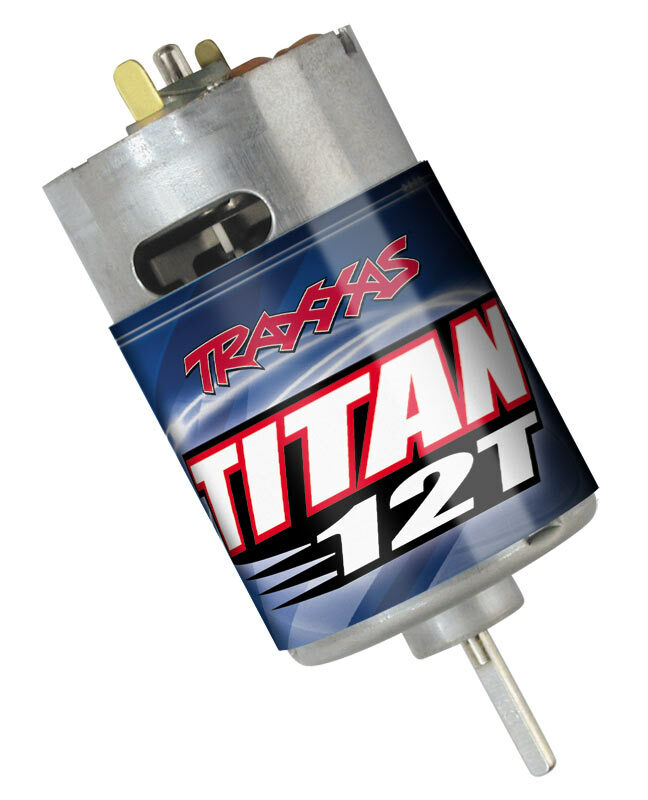 Training Mode is designed for young or first time drivers that want to learn the ropes before unleashing the full power of the mighty Titan 12T motor. 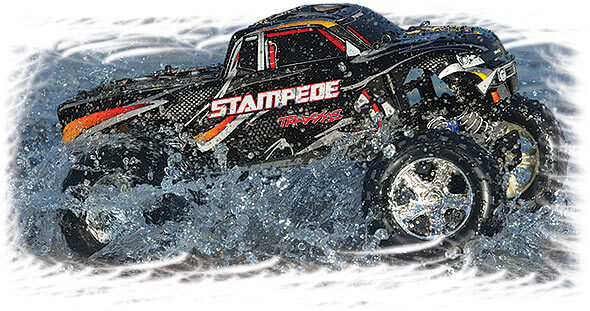 This makes the Stampede perfect for almost any age driver or skill level.